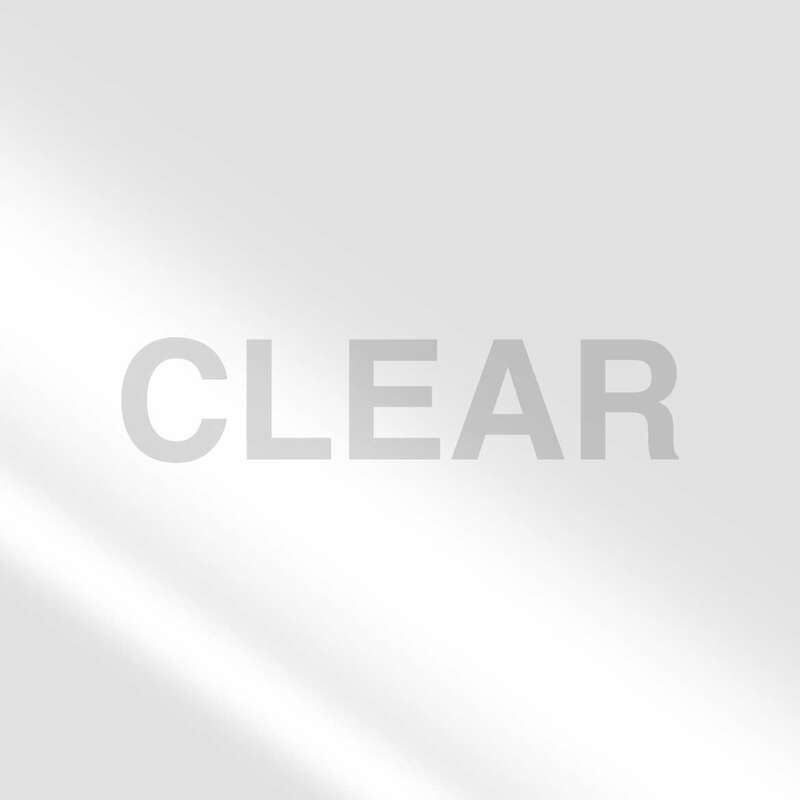 T-REX® Packaging Tape - Clear, 1.88 in. x 54.6 yd. Maximum adhesion and thickness that provides superior quality in all types of weather and temperatures. The hot melt adhesive provides an instant stick on boxes for a durable application. This extremely thick packing tape is ideal for heavy-duty shipping, moving and storage. 1.88 in. x 35 yd. 1.88 in. x 35 yd. - 4 pk. 1.88 in. x 54.6 yd. 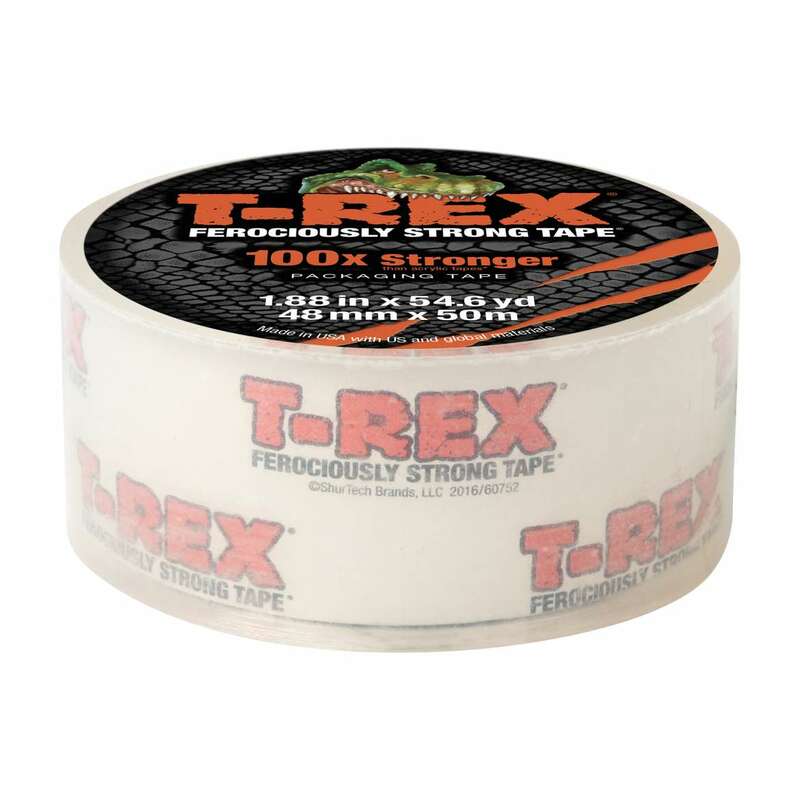 Designed for heavy-duty shipping, moving and storage needs, T-Rex® Packing Tape is ideal for homeowners and craftsmen who demand the highest quality tools. This packaging tape is super thick and strong, so you can seal even the heaviest boxes safely and securely while protecting what’s inside from damage. This ferociously strong packing tape offers superior quality whether you’re on the move or shipping boxes from the home or office. 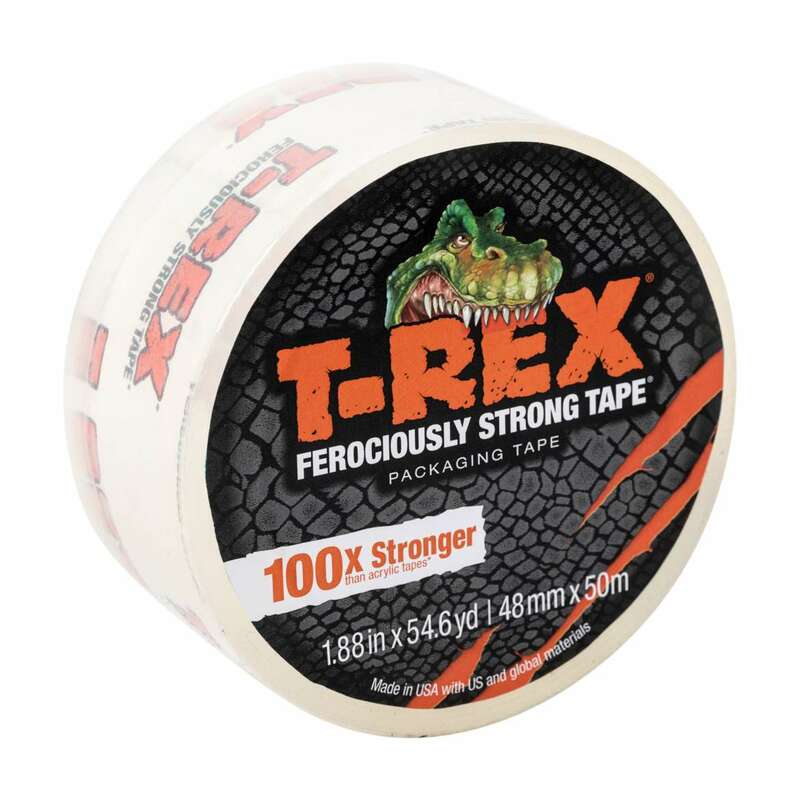 Whether at home or the job site, this packaging tape holds longer and stronger than ordinary tape making it ideal for those ferocious projects big or small. © Copyright 2019 Shurtech Brands, LLC. All rights reserved.